Nicholas has conceived and developed Stepping Stones for Tourism, a tourism development program for Indigenous groups and businesses. He is also a key author of Steps to Sustainable Tourism: A guide for tourism operators, heritage managers and communities. Nicholas is highly committed to the practical and conceptual development of participatory planning practices in land management, heritage place conservation and sustainable tourism development. 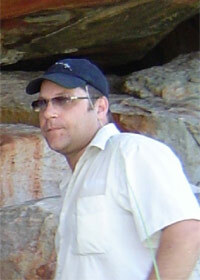 He has eighteen years experience working in heritage conservation, land management and with Indigenous communities. 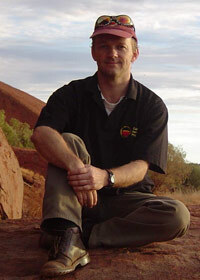 Nicholas has qualifications in archaeology, rock art conservation and heritage and environmental interpretation. He is currently completing a doctorate on the subject of participatory planning for tourism development in Indigenous communities. Nicholas is the principal trainer of Stepping Stones facilitators. Meredith is an archaeologist who specialises in the documentation, analysis and management of rock art sites and cultural landscapes. She has a long relationship with communities in Vanuatu where she has undertaken research and project work for the Vanuatu Cultural Centre and local communities. 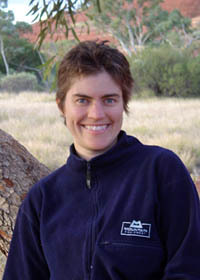 In Australia she has undertaken archaeological and heritage management work in the Blue Mountains, Jervis Bay, the Willandra Lakes World Heritage area, and Kakadu National Park. She has also worked for the Australian Museum on interpretation within their Aboriginal gallery. Meredith has recently been the principal coordinator of the first World Heritage Nomination submitted by the Republic of Vanuatu for Chief Roi Mata’s Domain, a cultural landscape consisting of lands and waters subject to traditional ownership and management. This work involved community consultation, coordination of the nomination documentation, development of a plan of management for the landscape and a cultural heritage strategy for a tourism business owned by the local community. Meredith holds a BA (Hons.) in archaeology and a PhD from the Australian National University. 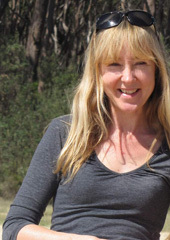 She currently lectures in cultural heritage at the University of Canberra, and contributes technical knowledge on Stepwise projects in relation to cultural site management and conservation. Kim is a trainer and consultant with an extensive background in collaborative community and economic development. He was born and raised in the East Kimberley and has lived and worked extensively in regional areas of Western Australia, Northern Territory and Queensland. This has enabled him to encounter many personal and business experiences and gain sound knowledge of the varied issues encountered by people living in regional Australia. Kim is principal of Kim Bridge and Associates, a consulting business built on over twenty years experience working in the business and economic environment, particularly with Indigenous Australians, both at an individual and community level. Kim is a principal facilitators of Stepwise Heritage and Tourism and brings to the team particular expertise in culturally sensitive facilitation, cross cultural issues in workplaces, business leadership and enterprise diagnostics. Kim is a trained Stepping Stones facilitator. Jasmine has a background in environmental management, heritage interpretation and sustainable tourism. She has previously worked for National Park agencies, Tourism Council Australia as well as on sustainable tourism issues for British Airways. She is currently completing a doctorate on visitor management, tourism and interpretation issues at Uluru - Kata Tjuta National Park in the Northern Territory. Jasmine is passionate about sustainability issues and has spent a year in Canada working with The Otesha Project (www.otesha.ca) encouraging personal action and youth involvement in sustainability issues. Jasmine brings particular expertise to Stepwise Heritage and Tourism in the fields of sustainable tourism, interpretation and environmental planning and sustainability. Petrine is highly experienced in the transformative potential of tourism, both for travelers and host communities. 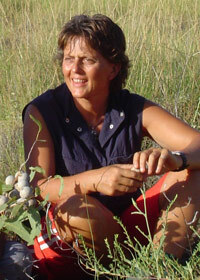 She has over 20 years of experience in the bush including leading groups in outdoor adventure. After working for many years as a group facilitator and counsellor, Petrine has used this experience to offer travel programs that combine therapeutic goals with outdoor adventure. Petrine has been a tour operator and tour guide in the Kimberley and in the Victorian High Country. She lives in Broome and has been a community-based trainer in cultural tourism for Kimberley TAFE, working extensively with traditional owners on country. With a unique combination experience in training, psychotherapy and tourism industry operations, she is highly skilled in ensuring that training and enterprise development processes address the needs of individuals as well as groups. Petrine is a trained Stepping Stones facilitator. Trent is a former tour guide, tourism operator and Indigenous Tourism Development Officer with the Northern Land Council and Tourism NT. 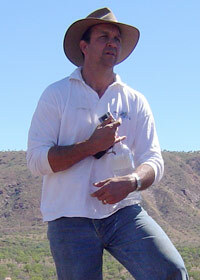 Trent is currently Managing Director of Indigenous Economic Development Pty Ltd and Twoway Tours. He has extensive experience in the practicalities and realities of developing tourism in the Northern Territory and the Top End in particular. He has a long history of living and working with Aboriginal people in both Western and Eastern Arnhem Land. Trent has qualifications in protected areas management and believes strongly in potential of integrating Indigenous land management programs with economic development. Trent has a passion and enthusiasm for working with Indigenous people on country. 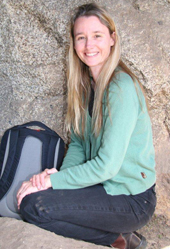 Nicola van Dijk trained as a physical anthropologist and archaeologist and has worked in indigenous communities in Vanuatu, Papua New Guinea, Fiji and New Zealand and has lived in indigenous communities in Australia (including Cape York) and in British Columbia, Canada. She is very interested in working with local people and remote communities to maximise their own development potential. Highly regarded as a technical specialist in the appropriate recording and analysis of human skeletal remains, Nicola applies her attention to detail to many other areas of heritage practice. She recently provided technical advice for the successful nomination of the Roi Mata Domain cultural landscape in Vanuatu to the World Heritage List. She has been a team member of a four year program undertaken by Stepwise for the conservation and management of rock art sites in Namadi National Park in the Australian Alps and in another project for Stepwise has completed guidelines for cultural camping for Namadgi National Park. Meg has an environmental science background and worked in natural and cultural resource conservation and management for over 20 years. 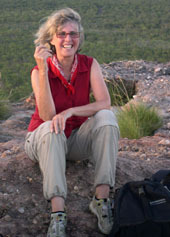 Meg was Director of the Heritage and Tourism Section of the Australian Government Department of Environment and Heritage until 2004, and has been on the advisory board of the International Centre for Ecotourism Research at Griffith University. Meg has been actively involved in Indigenous heritage issues, the ecotourism sector, women’s issues and key environmental campaigns. She has worked on pioneering travel programs built around women visiting Aboriginal communities. Meg is a trained Stepping Stones facilitator.